Ping-cheung Lo is Professor in the Department of Religion and Philosophy and Director of the Centre for Applied Ethics at Hong Kong Baptist University. He is the author or editor of fifteen books. Sumner B. Twiss is Distinguished Professor of Human Rights, Ethics, and Religion at Florida State University, USA, and author or editor of seven books. Ethical judgments are relevant to all phases of protracted violent conflict and inter-state war. Before, during, and after the tumult, martial forces are guided, in part, by their sense of morality for assessing whether an action is (morally) right or wrong, an event has good and/or bad consequences, and an individual (or group) is inherently virtuous or evil. 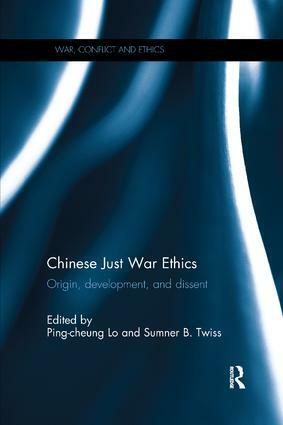 This new book series focuses on the morality of decisions by military and political leaders to engage in violence and the normative underpinnings of military strategy and tactics in the prosecution of the war.